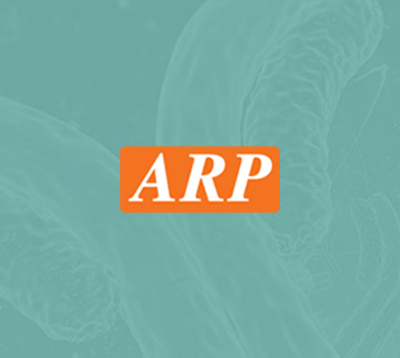 CHGB, 21-677aa, Human, 01-1809-1 | ARP American Research Products, Inc.
CHGB, also known as secretogranin-1 or chromogranin-B, is a neuroendocrine secretory granule protein, which may be the precursor for other biologically active peptides. This protein Belongs to the chromogranin/secretogranin protein family and is expressed in the adrenal medulla, and in pheochromocytoma. Recombinant CHGB protein was expressed in E.coli and purified by using conventional chromatography techniques. 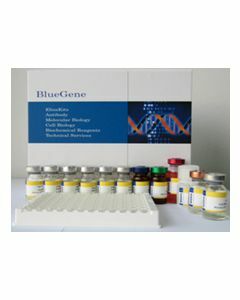 SCG1, Chromogranin-B, Secretogranin-1 Secretogranin I, Cg B, CHGB, ChromograninB, Secretogranin 1, Secretogranin B, SgI. 28.1 kDa (271aa), confirmed by MALDI-TOF. Liquid, in 20mM Tris-HCl buffer (pH 8.0) containing 10% glycerol, 1mM DTT, and 100 mM NaCl. Benjannet S., et al. (1987) FEBS Lett. 224(1):142-8. Gill BM., et al. (1991) Regul Pept. 33(2):223-35.